Posted in AMU Underwear Tags: amu, nylon, ripstop nylon, shorts Comments Off on BUY 2 pairs of Full price AMU SHORTS, and Select the third pair for free! 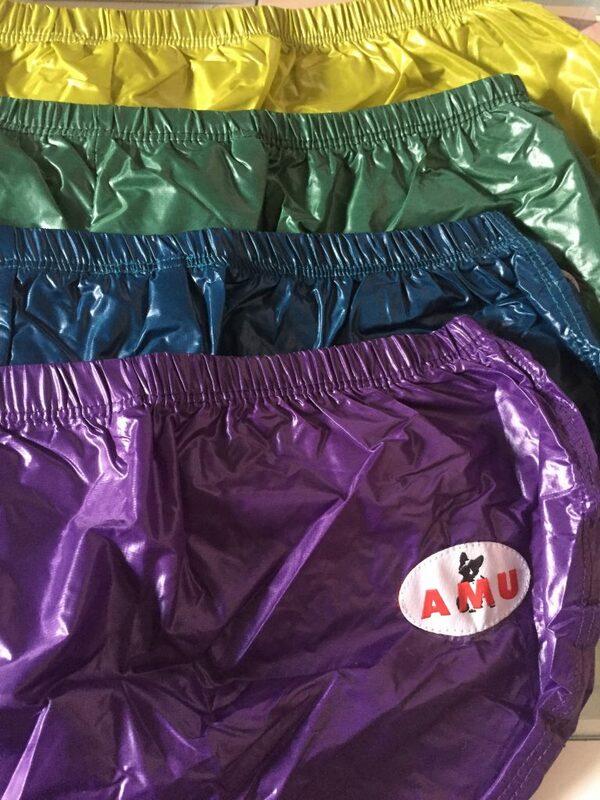 AMU have added a few New colours to their very popular extreme and Lightweight Shorts Collection. Extreme shorts have added 4 new colours, Olive, Forest Green, Moroccan Blue & purple. When you buy any three pairs of the New AMU coloured shorts in store Today 12th May 2018. With a Comfortable elasticated waist with a string tie and AMU Logo on the side.These shorts are unlined so you can pull them on over underwear or as a cover up for swimwear.If you are feeling daring and love the feel of the silky ripstop material then we recommend you try these as underwear.